Dance, TikiMan! Dance like your children's lives depend on it! 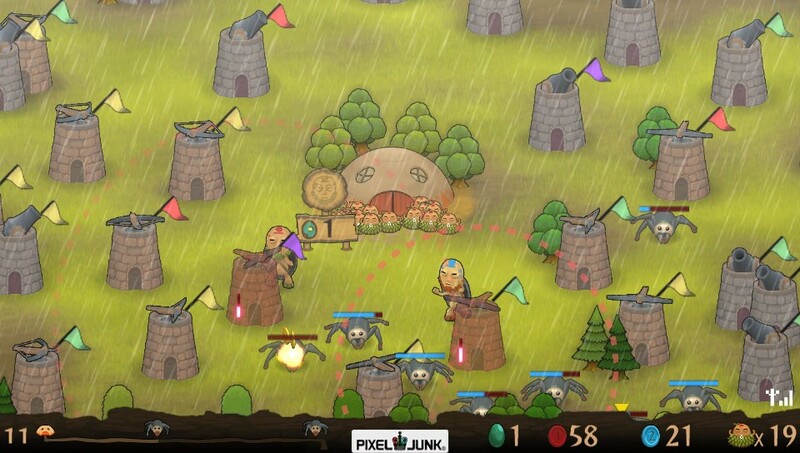 Though nowadays, Q Games' PixelJunk titles are well-known as a quality set of quirky little indie games, it wasn't until their second game, PixelJunk Monsters, that they became more of a household name. 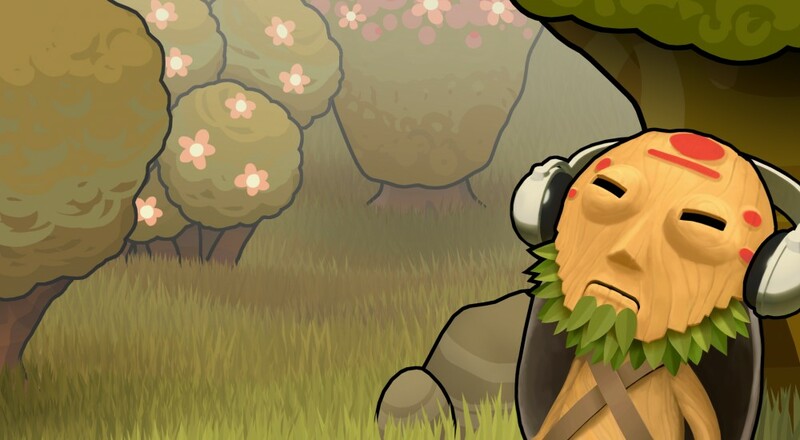 Today we're going to check out its latest port, PixelJunk Monsters Ultimate HD for the Vita. Ultimate HD contains the original PixelJunk Monsters, as well as all of the additional content provided by its DLC and the subsequent PSP port. You control the adorable TikiMan, a forest-dwelling dude who's got to look out for his tribe. Waves of spiders, trolls and other bad creatures wind their way through the forest to attack his tribe, and you need to help TikiMan build towers to stop them. When towers take out enemies (or you walk near random trees), you'll earn coins, which you can use to build more towers. Sometimes, a crystal will drop, which lets you either unlock more advanced towers for use, or instantly upgrading an existing tower to a more efficient version. That's great and all, but the real charm of this game lies in the fact that TikiMan can upgrade his towers through the power of dance. It's horribly inefficient, but there's something so stupidly whimsical about his magic dance, that sometimes I'd nearly fail a level because I was watching TikiMan do his thing. While the majority of the levels utilize the standard fixed-path gameplay, there are a few twists on the formula. Sometimes you'll be restricted in the amount of funds you can spend over the course of a level, other times there will be no set path and enemies will beset you from all sides in random, windy paths. These do wonders for variety, and help keep the solo play from feeling too much like a slog. There's no way around this. PixelJunk Monsters can be quite difficult, sometimes frustratingly so. The amount of setup time you're granted between waves of enemies practically requires you to have advance knowledge of the level, which means you'll probably be restarting a few of the levels many times in order to get a solid foundation that can carry you through to the end. If you're lucky enough to stay safe though an entire level, you'll earn a rainbow, which helps you unlock new levels to play. Though you don't need to 100% the entire game to make progress, the difficulty spikes can make earning a rainbow seem impossible. Page created in 1.6015 seconds.